Let me get this out of the way first; I firmly believe that Phil Kessel will not be a member of the Pittsburgh Penguins this time next week. That is not to say that I endorse trading the dynamic winger, but I think we can all see which way the wind is blowing. Both player and management seem disenchanted with one another, and with general manager Jim Rutherford’s history of making big deals at the draft, what better time to make a move than now? The further we get into the offseason the more intense the Kessel talk is becoming. I recently expressed my thoughts on this subject, so in the words of Forrest Gump, “that’s all I have to say about that”. As the NHL draft approaches it is becoming more and more likely that the Penguins are going to make a trade or maybe even a few. 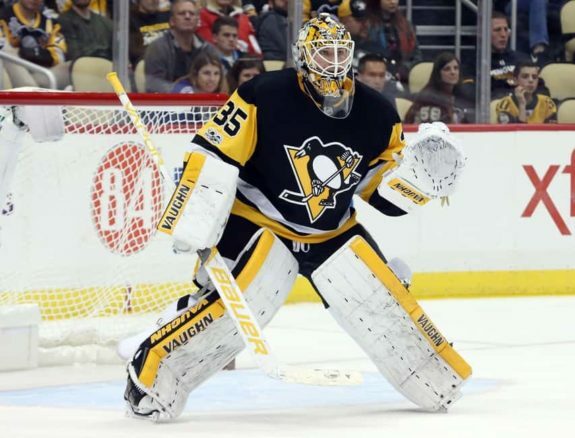 At the end of the season Rutherford was quoted by a Pittsburgh Trib Live article saying that he was planning to be active. I think it’s obvious that I’m going to keep an open mind to making some changes, and I will make some changes,” Rutherford said. “I can’t give you a definite answer on who that’s going to be right now and exactly the positions, but we’re a good team, and we will be a good team going forward. We’ll have a chance to win again. We have the nucleus to do that. Comments that he has made along the way reinforce this statement, and it appears that very few names are sacred. The list of untouchable players is likely much shorter than you would think. That’s probably it, folks. There are several players that are unlikely to be traded, but the three on this list are the only ones that are truly untouchable. Patric Hornqvist is on a new contract and adds a physical element that no one else on the roster brings. 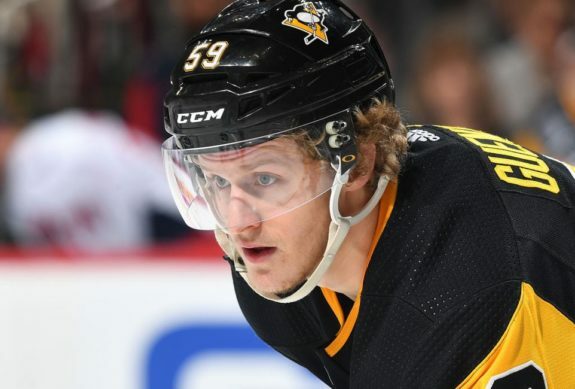 Jake Guentzel is young, cheap (for now), and is the only player on the roster beyond Kessel who has sniper ability. Brian Dumoulin is considered by many as Pittsburgh’s best overall defenseman. Justin Schultz could step into Kris Letang’s role should the future hall-of-fame defender be moved prior to the start of the season. These players are very unlikely to be moved due to their unique value, but they should not be considered untouchable. Everyone else on the roster, to varying degrees are fair game. I would like to see Letang on the list of untouchables as I have expressed before, and it would still be very surprising to see him traded, but it’s not out of the realm of possibility. He is expensive, injury prone, and potentially on the decline of his career. However, if he is able to rebound Letang is one of the best defenders in the league. His current value would not bring the return that Pittsburgh would require, so while a deal is still possible, it does not feel likely. Tristan Jarry is a potential trade chip, and one of the better ones to “win now” while the Crosby / Malkin championship window is still open. Jarry is likely coveted by many other teams and would bring a good return from a club looking to build upon youth. The young netminder is basically the same age as Murray and will eventually be too good for a backup position. The similarities between the two make Jarry’s role within the organization feel a bit redundant. Trading him for a package that includes current NHL assets and a veteran backup goalie makes a lot of sense. This feels inevitable, though I would feel better about it if Filip Gustavsson had not been moved last season as it limits the organizational depth at goalie. Zach Aston-Reese and Daniel Sprong could be considered the future of the franchise, or they could be assets to move for more immediate veteran needs. Sprong being the more likely of the two to move on could be part of a package bringing a decent return, maybe even being part of a Kessel deal. There is a lot of potential in both of these players, but if the right offer comes Rutherford’s way, by all means improve the team. Bryan Rust is a trade possibility that baffles me. I have seen him mentioned in the same breath as Conor Sheary, and while I still like what Sheary brings to the table, Rust has far more value with his speed alone. It has been rumored that Rust was offered to Arizona in a deal for Max Domi, which having it fall through should be considered a positive to Penguins’ fans. What would the Domi trade have meant for the Penguins lineup—and what does it say about their thinking? The two most likely skaters to be moved are Carl Hagelin and Sheary. Both have somewhat expensive price tags for the disappointing production last season. They do have value given their skillsets and could benefit from a change of scenery. I’m not sure what kind of return they could bring unless they are part of a bigger deal, but if nothing else they would allow some cap relief for free agent signings. Finally, Derick Brassard is a surprising name on this list as his sample size in Pittsburgh is very small and affected by injury. I’d imagine that management would like to see what a healthy and acclimated Brassard can do, but that has not stopped other teams from sniffing around the Penguins’ centerman. It’s too early to call the former Ranger a failed experiment, but something just feels off in regards to his fit with the Penguins’ three-center model. He is far more talented than Nick Bonino, but the part that Bonino played in coach Mike Sullivan’s scheme just fit better. I’d still like to see more of Brassard, but Rutherford may be searching for a piece or pieces that make more sense. Forget the draft. Forget free agency. 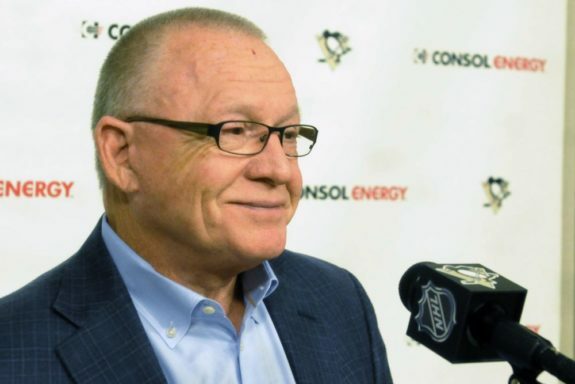 This is trade season for Jim Rutherford, and he is darn good at it. The best part of it is, he knows it too.